Have you ever seen the chair that looks like a potato chip? or thought that a molded fiberglass rockers would be comfortable? Then you have experienced a couple of the many pieces this prolific couple has designed. Thes Eameses vision of modern design was a catalyst for social change; they achieved their goal with elegance, beauty and wit. “One of the best kept secrets in science is how unpompous scientists are at their science, and the amount of honest fun that for them is part of it,” Charles Eames once wrote. You can see the whimsy in their pieces; feel the spirit of their designs as they adorn your home. Charles got into the practice of molding plywood, a signature trademark of his furniture, in a most interesting way. He and Eero Saarinen designed furniture for New York’s MOMA “Organic Design in Home Furnishings” competition. Using a new technique of wood molding they won first place. This win led to a contract to design leg splints and airplane parts for the military. Studying the shape of the human body they designed the curves of the splints to fit perfectly. With access to military technology and manufacturing facilities they equipped Eames with the know-how he needed to perfect the technique he employed for molding plywood and mass producing it. Through the study of the human body and prototyping in plaster the Eames’ team began to create furniture that is both ergonomic and comfortable. Using unexpected materials they figured out how to mold it to the the human body. Their furniture was both affordable and multifunctional. 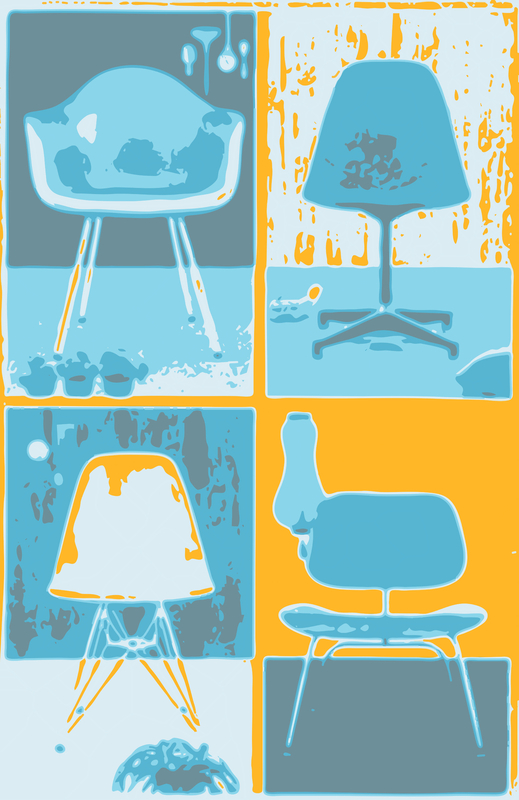 Today Eames pieces are highly desirable and quite expensive but worth every cent. Good design was a way to improve people’s lives according to the Eameses; they believed they were helping others understand the world around them. I know how I feel when I look at an Eames chair; sit in it, like I understand.